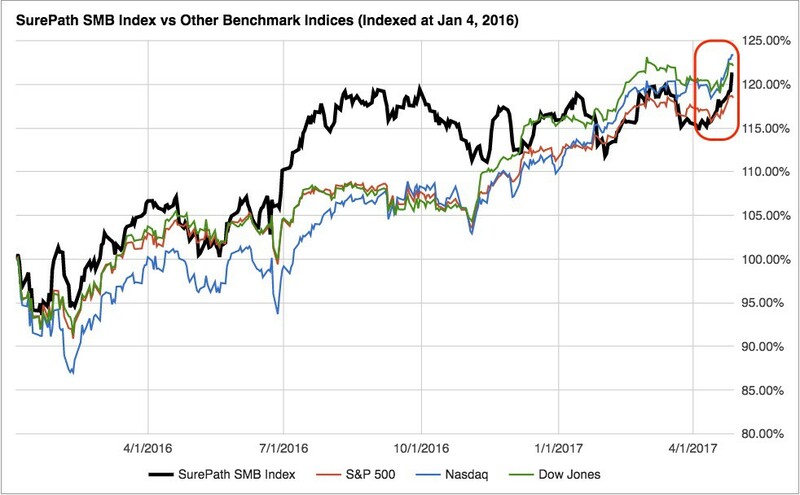 This new monthly feature from SurePath Capital Partners looks at the relative optimism about a range of public companies working with SMB clients. Follow the SurePath SMB Index in real time by clicking here. In April 2017 the SCP SMB Index climbed 4.9% after a strong rally to close off the month. The SCP SMB Index climbed 4.9% in April — the most of all other benchmark indices. The Nasdaq was up 2.3%, while the S&P 500 and Dow Jones had modest gains of 1.1% and 1.5% respectively. During April the SCP SMB Index climbed to $119.15, up from $113.62 at the end of March 2017. The SCP SMB Index is weighted based on the market capitalization of the 35 companies that are included in the index. The market cap of the top 5 companies (by market cap) accounts for ~63% of the total market cap of all 35 companies and therefore the movement of these 5 companies influence the SMB Index as a whole. Last month all 5 of the top 5 constituents experienced stock price gains after March, which saw all 5 companies experience declines. 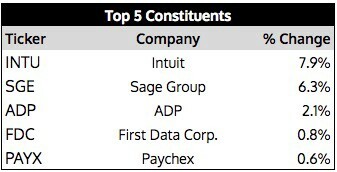 Intuit led the way up 7.9%. GrubHub led the gainers, up 30.7% in the month of April, while Stamps.com topped the list of losers, down 10.3% during the month. 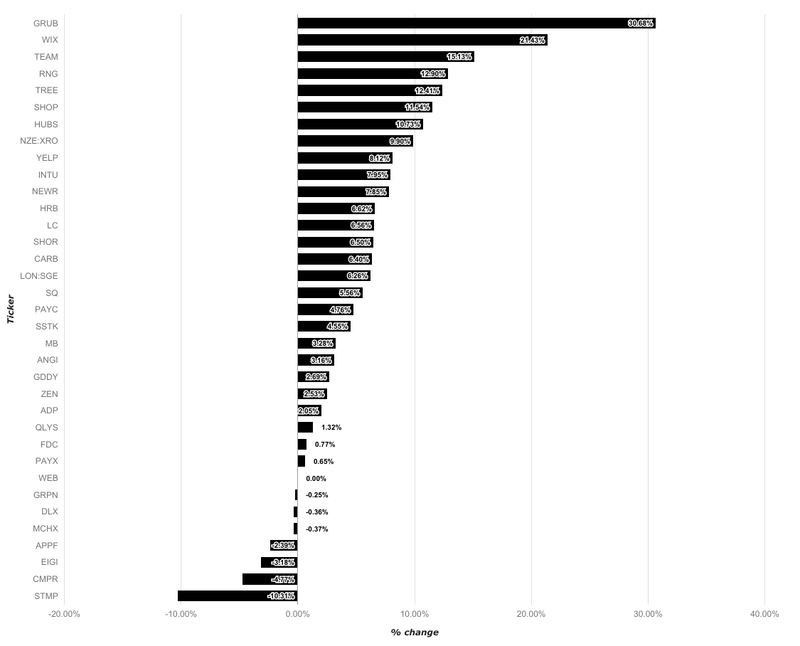 27 out of the 35 companies in the SCP SMB Index experienced gains in the month of April. Late-Blooming Entrepreneur Beats Community News Jinx in Metro D.C.